August 29th, 2011 -- Some proposed technological innovations seem so far out that they are easy to reject out of hand. But sometimes, a new idea has a kernel of plausibility. Such is the case with a new project to develop a thorium laser power generation system that its creator says could provide electricity for the grid, stand-alone power applications and even cars. The LPS power plant, for all its whiz-bang properties, isn’t a complete departure from traditional power generation: the thorium is lased and the resulting heat flashes a fluid and creates pressurized steam inside a closed-loop system. The steam then drives a turbine that turns an electric generator. A 250-kilowatt unit (equivalent to about 335 horsepower) weighing about 500 pounds would be small and light enough to put under the hood of a car, Stevens claims. And because a gram of thorium has the equivalent potential energy content of 7,500 gallons of gasoline, LPS calculates that using just 8 grams of thorium in the unit could power an average car for 5,000 hours, or about 300,000 miles of normal driving. Stevens isn’t the only one who believes thorium could power cars. In 2009 Cadillac introduced a thorium-powered concept car at the Chicago Auto Show. 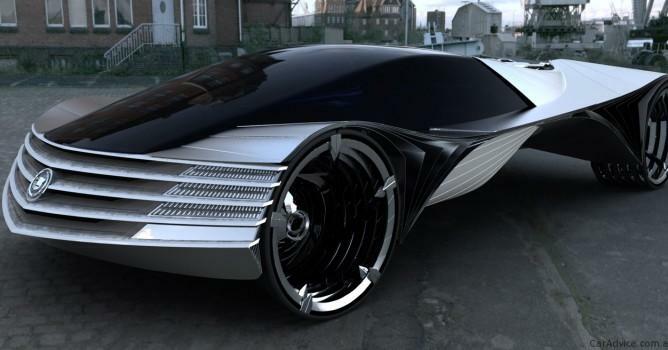 Designed by Lorus Kulesus, the sleek World Thorium Fuel Concept did not contain a working thorium-fueled nuclear-fission reactor that could generate the electricity to power it. But somebody at General Motors thought the idea to be sufficiently interesting to build a vehicle to show it off. Researchers in Russia, India and more recently, in China and North America, have studied using thorium as fuel for nuclear reactors, partly because it is more difficult to use in atomic weapons than uranium or plutonium. In addition, only a thin layer of aluminum foil is needed to shield people from the weakly emitting metal. Although prototype thorium-fueled nuclear reactors have been developed, the technology has never been adopted for commercial use because the nuclear powers opted after the Second World War to focus on uranium-based atomic energy. (Incidentally, the major powers chose to focus on Uranium reactors precisely because it could be weaponized, Stevens has said). Stevens’ innovation is to use thorium to make a laser, not a nuclear power reactor. Indeed, the use of radioactive materials in lasers is not unheard of either. After all, when Bell Labs researchers demonstrated the second laser ever in 1960, they used a flashlamp (a very bright light) to excite a crystal of uranium-doped calcium fluoride to lase in the infrared light spectrum. Because of the need for a cryogenic (ultralow-temperature) system to cool the hot laser-gain medium during operation, however, uranium lasers never found much practical use. The key twist to Stevens’ thorium-laser power concept is that it would use a radioactive element-based laser to produce heat, not a beam of coherent light. Stevens says that developing a compact turbine and generator set is proving to be more difficult than making the thorium laser itself. “We can build the laser, but the biggest problem has turned out to be integrating it efficiently with the turbine and generator,” he notes. LPS’ thorium laser itself is simply an adaptation of the MaxFeLaser, a design Stevens built in1985. Stevens said his company has fabricated a modified Tesla turbine (no relation to the car company) to convert steam pressure into rotary motion. Unlike more familiar turbine types, a Tesla turbine is a bladeless centripetal-flow unit with a set of smooth disks that are placed in motion by directing moving gas, via nozzles, at the edges of the disks. The viscous (boundary-layer) drag on the disk surfaces that is produced by the gas flow causes them to rotate. Further, after having found no off-the-shelf high-speed generators that fit his special application, his team has had to design a custom unit to efficiently produce electricity for his one-of-a-kind power plant. Whether authorities will allow thorium-powered cars to roam the streets is another question. Stevens has not set a date for a prototype version (Ed. a prior version of this story incorrectly stated he had). Steven Ashley is a contributing editor at Scientific American magazine, where he writes and edits articles on general science and technology topics. Ashley’s work has been published in Popular Science, MIT’s Technology Review and Physics Today, among others.